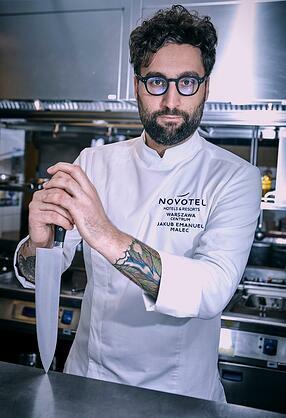 In our third edition of the monthly Chef's Table, Jakub Emanuel Malec, Executive Chef at Novotel Warsaw Centrum shares his inspiration to become a chef an d much more. Chef Jakub brings more than 11 years of culinary experience to Novotel Warsaw Centrum. Prior to his appointment, he was Executive Chef at Mercure Grand Warsaw, Poland. I never thought I will become a chef. I spent all my childhood in the kitchen next to my mother cooking and trying to help. My grandmother was also an excelent cook and when after high school I started to ask myself what to do in life that will make me happy, the answer was simple: Cooking. I studied economics at university …Ups it’s not connected to cooking. After that I attended a technical gastronomy school but mainly I was trained in Spain, France, Argentina and in Warsaw by chefs from all over the world. Generally the biggest challenge is to change people's mentality (both guests and workers) on food waste. Once you manage to overcome this barrier, everything is possible. The Winnow system saves me time that nowadays is one of most valuable asset. 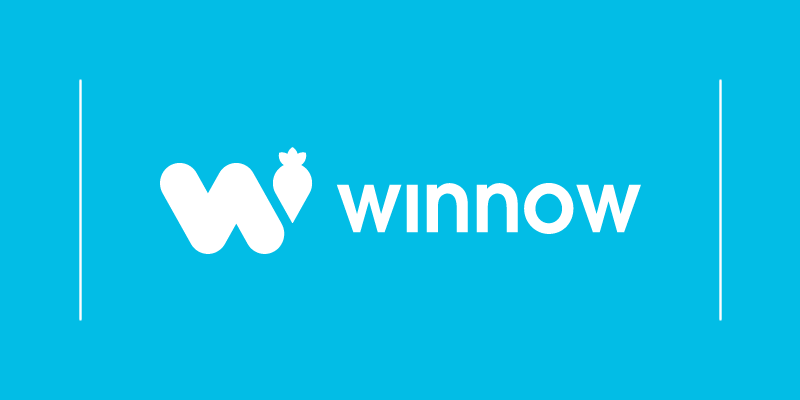 Winnow helps me understand quickly where food waste occurs in my kitchen. We have changed serving breakfast by transforming almost all item into individual portions. We also added more vegetables which can be used in banqueting hot kitchen after breakfast. If you are flexible, it is easy to create universal menus that can be sold to almost all clients. Technology nowadays is a MUST within my sector. We just need to find the best ways to benefit from it and use it to gain visibility in different areas of our work. I travel a lot. I truly believe that traveling is the only thing you buy that makes you richer. This is the best way to explore the newest trends in the culinary world. We will try to focus on local markets. Our goal is to become leaders in using local, sustainably sourced food and be an example for others. We start this year our own indoor vegetable and herbs bio garden. I think all of us need to think outside the box when it comes to tackling food waste. We need to reinvent our business together with our clients and in order to succeed we need to be very creative in this area. I admire many chefs but especially Massimo Bottura and Alex Atala. They not only create amazing food using local products but also concious about food waste and poverty. Marinating raw fish like Peruvian ceviche using local products. I will not be very original to say that the best meal is the venison cooked by my mother...but she is master of this meat. Soup. I love all types of soups from all over the world, specially Phở soup from Vietnam. I would say everywhere where you can find local products with local touch and taste. Just travel and have fun!